Levon, of Woodstock, New York, was known for his artistic work as drummer for The Band which performed with folk artist Bob Dylan. Helm was continually active in the arts including his contributions to Americana music. He was more than an artist -- he was sincerely dedicated to the music he loved and he was active in its promotion, expansion and direction. A participant on Will the Circle be Unbroken album, Helm always performed with soul and conviction. He believed in everything he did and that was effortlessly communicated through his work. Playing drums, guitar, mandolin and other instruments, he was always right at home musically. Helm never stopped performing and even converted his barn for his Midnight Rambles. These concerts frequently featured guests that shaped the rambles into true Americana music productions. His May 6 performance at the Ryman has been canceled and refunds will be available at the point of purchase. Our thoughts and prayers are with the entire Helm family during this difficult time. We've been honored to have Levon on the Ryman stage over the years and grateful for the joy and music he shared. Helm's first Ramble at the Ryman in July of 2007 marked one of the most remarkable comebacks of our time. In 2008, the Ramble kicked off the Americana Music Festival and Conference. The recordings of that memorable evening garnered both a Regional Emmy® for its PBS Broadcast and just last month, won the Grammy® award for Best Americana Album. 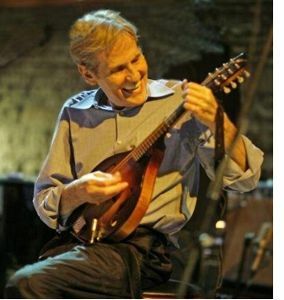 Since that July night in Nashville, Levon Helm released three Grammy award-winning albums (Dirt Farmer, Electric Dirt and Ramble at the Ryman.) Helm's accolades also included a Lifetime Achievement Grammy for his tenure with The Band, The Americana Music Association's Lifetime Achievement Award for Performance, and he was named the Americana Artist of the Year in 2008. Based on the traveling minstrel shows he experienced in his youth, Helm's rambles - at his home base of Woodstock, NY and on the road - always featured a wide array of some of music's most notable artists. In 2004, Helm needed to raise money to help pay for his rising medical costs and his "house party" concerts took off with an Americana flavor. His throat problems continued until is death.